The purpose of the Journal of Intelligent Systems: Theory and Applications (JISTA) is to stimulate announcement and dissemination of current knowledge, recent applications and case studies in the areas of intelligent systems in English or Turkish. 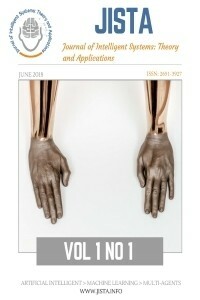 The journal will publish original research articles, surveys, case studies, education, theory and philosophy on intelligent systems for engineering and other technical fields in science and technology. JISTA is an online journal which will be published at least 3 times a year. Publication Fees: No fee required (no article submission charges or processing charges). the journal JISTA is licensed under a Creative Commons Attribution Non-Commercial 3.0 License.